3 May, 2010. It was a Monday. But NO MORE! 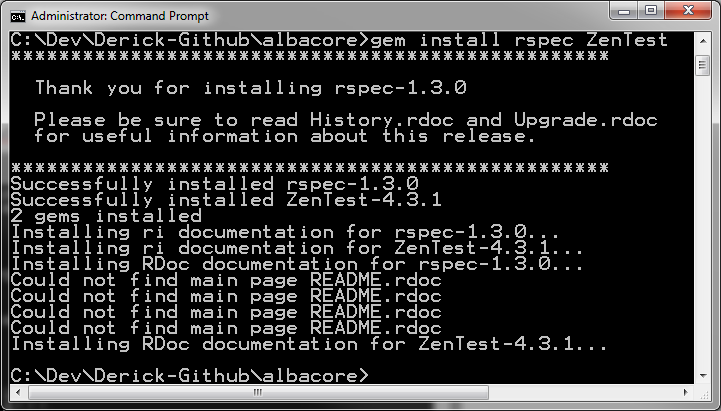 With ZenTest installed, I can use the autospec feature of Rspec and be done with the manual execution of tests! 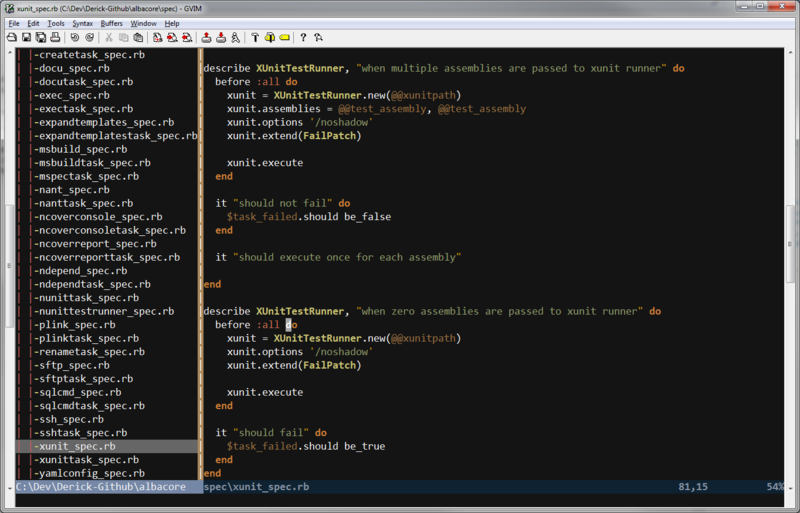 Now All I need to do is run the “autospec” command from the home directory of my albacore project. 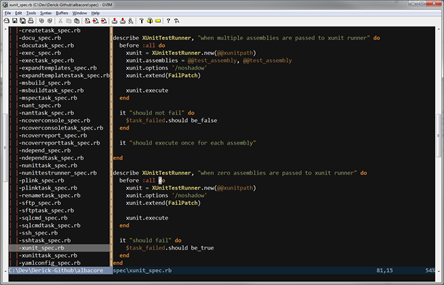 This will configure ZenTests’s autotest feature to run my rspec tests. It will then run the entire suite of tests (which takes a couple of minutes, since albacore is nothing but integration tests). Once the suite has finished running, autotest will pause and wait for a file system change in my albacore folder structure. When it sees a file system change, it will attempt to find the tests that correspond to the file being changed and re-run only the changed tests. Questions: How Do I … ???? 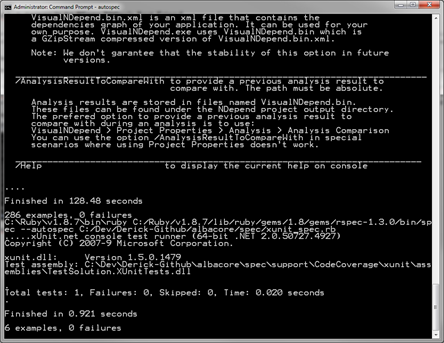 Unfortunately, the documentation for ZenTest and RSpec’s autotest are somewhat lacking. It seems to be very difficult to find any single source of information, other than the implementations in the source code. There are a few places with “official” documentation, but the options and configurations are not completely specified. There’s also an html file with examples and plugins listed, that comes with ZenTest. How do I get it to produce my “Format: SpecDoc” from rspec (the “-fs” parameter that I use)? How do I get it to produce my “Colour” specs from rspec (the “-c” parameter that I use)? There are some pretty cool plugins for this, though. Maybe one of them will help answer my questions or provide functionality that replaces what I want. Does anyone know of a good list of plugins, other than the “getting started” html file I mentioned? Does anyone know of a good place to get information on how to configure autotest, other than reading through the source code and what little rdocs there are?